Cascade Technologies Corp., through its wholly owned subsidiary Spectral Molecular Imaging, Inc., is a development-stage, medical imaging device company, applying its proprietary hyperspectral-optical imaging technology--originally developed for satellite reconnaissance--to advance the early and accurate diagnoses of cancer and precancerous conditions. SMI is developing non-invasive imaging systems using its patented technology and other proprietary know-how for improved clinical diagnostics, primarily in the field of cancer pathology. 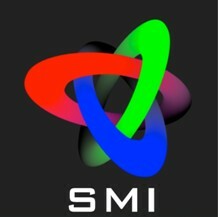 SMI's devices utilize high-resolution imaging, identification, and analysis of certain molecular, cellular, and tissue features via patented spectral imaging approaches. We expect to provide services related to our primary products, including software modules and maintenance services, and to develop optical diagnostic products that operate in conjunction with surgical and/or evaluation procedures in real time. We believe that our technology will enable early detection and more reliable diagnosis of various diseases, such as melanoma, Barrett's esophagus (a condition caused by chronic acid reflux that can lead to esophageal cancer) and lung cancer. We expect that medical devices using or based on our developed technology can significantly improve long-term patient outcomes and may substantially reduce overall costs for the healthcare system. Dr. Farkas is Research Professor in Biomedical Engineering at the Univ. of Southern California. He was (2002-2010) Director of the Minimally Invasive Surgical Technologies Institute, Professor of Surgery and Biomedical Sciences, and Vice-chairman for Research in the Department of Surgery at the Cedars-Sinai Medical Center in Los Angeles, California. Trained in Physics, he holds a PhD from the Weizmann Institute in Israel, came to the US as a Fulbright scholar, and served from 1992 to 2002 at Carnegie Mellon University as Associate Director and then Director of the National Science and Technology Center that won the Smithsonian Award for Science in 1996. Additionally, he was Professor of Bioengineering and Pathology at the Univ. of Pittsburgh. 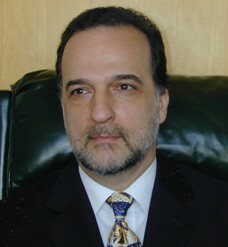 He published 160 articles and authored/edited 18 books, is on 11 journal editorial boards, chaired 25 international conferences and had $65 million in peer-reviewed funding to support his research for which he was awarded the Automated Imaging Association Award for Scientific Application (1994) and the Sylvia Sorkin Greenfield Award from the American Association of Physicists in Medicine (2002). In 2008 he was elected President of IMLAS, an international interdisciplinary surgical society. CEOCFO: Mr. Farkas, what is the focus of Cascade Technologies today? Mr. Farkas: Advanced, “smart” biomedical imaging with light. So the first technology that we developed is called hyperspectral and it truly was one of the best ways of detecting cancer. Mr. Farkas: There are other, widespread biomedical imaging technologies out there such as MRI, ultrasound, X-rays, but they are limited in spatial resolution, speed and specificity. Optical imaging is based on photons that can be detected in 2D or 3D. It creates a picture of what you might be interested in and it allows distinguishing within the picture the things that you are truly interested in versus things in the background. One of the best ways of doing that is hyperspectral imaging because it creates a cube of data in which the front of this cube is your picture. It could be something as small as the inside of a cell or something a big as a continent from a satellite. In this picture, at any (pixel) location, by spectral imaging you can actually generate a complete signature and that signature will tell you something about the nature of that location. So, the whole idea is that based on the signature you could differentiate between things that are very important to us such as early disease and things that are not important such as the normal area. The process itself is called segmentation, which means separating the interesting part from the uninteresting part. This has been used for maybe forty years and the analysis part, which is very important, has developed because there have been some smart people that have been thinking about what to do with this type of data. CEOCFO: Where are you in the process and since this concept has been around a long time, why hasn’t become a mainstay in the medical community? Mr. Farkas: That is a fair question and sometimes one wonders why we are only where we are. Some people may look at you as new, untested technology, but I don’ think that is the main reason. Some people may ascribe it to the conservative nature of the medical field, but I don’ think that is the reason. Some people may say that it is the regulatory hurdles that need to be overcome, and that partially is true. However, I am coming from the technology end of it and have spent most of my life in this type of investigation. To me we have not finished our job until we have taken it to an application were lives can be saved or improved. So it seems to me that sometimes even the strategies are not right. For instance, today - if you are familiar with the Mars Rover - we can image dust on Mars significantly better than we can image inside a human being who is in serious trouble with some disease, in our best hospital. That tells me that somewhere we have taken the wrong turn or maybe the right people haven’t been talking to the right people. Maybe the technologists haven’t applied themselves sufficiently or maybe that the right interdisciplinary groups have not really been formed or carried out their work. So, the technologies have been available, but the main clinical decision-makers in any clinic or hospital are really not the surgeons but the pathologists. They are the ones that tell you that you should cut some more, that you are ready to close up, or that there is nothing there. However, the pathologists frankly are working the same way as they did 100 plus years ago. They take some tissue from some locations, they slice it, dice it and stain it. They look at it with the same type of microscope, and the same type of subjective eye-and-brain decision-making that they were doing a century ago. The very stain that they are using, which is the hematoxylin/eosin, has been around since 1866, is not specific, and it has still not been standardized. So, it stands to reason that not everything that logically should be happening is actually happening. CEOCFO: What is Cascade doing to gain recognition? Mr. Farkas: The enabling technology has been in the laboratory for years. We have taken this type of spectral imaging and applied it to just about anything biomedical that we thought might be interesting and useful. So we took the technology and did cytopathology, histopathology and animal work, we did even unstained specimens, and all of that worked quite well. We have published quite a bit on it and we were able to do the segmentation of the images and be able to interpret what it was that we were looking at. Although animal work was important, it was not the ultimate. So what we are trying to do today is take it to the clinical realm. One of the main applications is the early detection of cancer specifically in an area where optical imaging can be used well: on the surface of the body. So we are looking for early melanoma, since this can yield a life-or-death difference in patient outcome: early detection leads to 100% cure and late detection results in more than 90% death. I don’t know of any disease where early detection is not useful, but this is a particularly convincing instance. Another product area is spectral endoscopy, and this can be applied to any endoscopy that is being done anywhere in the body. We are going to start with gastro- intestinal applications, including Barrett’s Esophagus detection and colonoscopies. The last thrust area is mapping oxygenation in the body, for many different applications. When I say mapping that is what distinguishes what we are doing from the oxygenation measurements of today: if you are in health trouble anywhere, for example, in an emergency room or hospital, they clip a device on your finger - a pulse oximeter - which measures the average oxygenation of your body and if they find something wrong, they need to start looking for what is wrong and where. There are major companies working in this area such as Masimo, in Irvine, which has a market cap of $1.9 billion based on this technology. We are able to make a topological map of oxygenation at various locations, at high spatial resolution - this could be used for open heart surgery, stroke, burns or wound healing. So these are the main areas for our products. CEOCFO: Is the medical community starting to pay attention? Mr. Farkas: We are trying to keep busy, and communicate well. We are putting out announcements, and we are participating in a large number of conferences. We are sending a message that biomedical optics may be a really hot area for the future. One of the things that I should have stressed very early on is that the perception of the public as well as of the end users is that new technology, since it is higher tech, is necessarily more expensive than previous technologies. However, that is not the case at all. In fact, we are convinced (and can make the argument in the economic domain) that our technologies could save massive amounts of money to the system. Maybe not always to the user, but to the health system, there are serious savings. This transfers even to the consumer and obviously, with wider adoption, we may see more some significant savings. In melanoma and other skin diseases, there are many unnecessary biopsies costing somewhere north of a billion of dollars. Today, just to make sure, they do something that could be done in the days of the Roman Empire: you look, cut off a piece of skin and then you look at it and then sew the skin together. CEOCFO: Development is always costly; what is the financial picture like for Cascade Technologies today? Mr. Farkas: Development is expensive, so it does help that some of the basic work has been done on the NIH, NSF and other peer-reviewed funding in my laboratories. We have quality intellectual property, some of which we licensed exclusively from Carnegie Mellon University. Obviously, it is very important to eventually prove to the FDA that our product should be approved for use in the clinic. What we did is we developed useable prototypes for each and every one of these devices and we would like to finish commercial products with the same core technology. Then we have melanoma detection as the first item to address, mostly because a clinical trial does not require anesthesia or going into an operating room to do a biopsy. Therefore, the clinical trials can be less expensive. So we have raised some amount of money when we got going in March, about $ 850 thousand dollars. We certainly are trying to continue to raise money through grants and there are some nice programs available. Recently, we got an NIH small business research award, and have also gotten a stimulus grant for medical device development through the IRS. What these grants do is provide additional money for R&D. We will also seek additional funding so that we can bring one or more of our products to the door of the FDA for approval. Thus, we are in the process of raising money. CEOCFO: In closing, why does Cascade Technologies stand out to potential investors? Mr. Farkas: We are certainly hoping that the basic idea is not only a fresh one and useful one, but also one that is unusual and truly high-tech. Secondly, I think that any company that wants to be among the best needs good talent, and I was truly careful in our choice personnel. I believe that we have on the science side very experienced and high quality people. Our chief technologist had fifteen years at the Jet Propulsion Laboratory, and our Chief Scientist had 29 years there. Our president is also a technology guy, very well versed in the computer field as well as a PhD in Bioengineering. Our other people like our counsel, our CFO, and VP are very high quality and experienced. Therefore, it is the combined quality of our technology and of our team that matters. In addition, we are in the process of securing some collaborations which will be highly valuable. For example, in endoscopy, it would be best for us to partner up with some of the larger endoscopy companies who are aware of the fact that some novel approaches may be useful, but not everything can be developed by them in-house. In fact, endoscopy has been very successful and there is very good reason for that: it puts the tip of the endoscope and thus, indirectly, the surgeon at the right location in the body, for decision-making and intervention. But it comes at the expense of some compromise that has been reached, in which all of that imaging, navigation and monitoring is happening on the screen, looking at an image that has been made by a camera. This is limiting, as the screen is, in quality, much worse than human vision. Most of the successful instruments of the past have been the ones that extended the human vision capability (magnifying glass, microscope, telescope). So here we are moving in the wrong direction with the current endoscopy, because we are looking on a screen and the quality of that image is way worse than what the eye can do. It has poor resolution, poor ability to discriminate, poor color fidelity, etc. So it is a compromise. However, our particular brand of endoscopy, which is hyperspectral, can do three things that the eye can not do: (1) it can “see” under the surface, in the red and near-infrared; (2) it can discriminate things that are different by .1% (as opposed to the eye can do about 2% and by the time the eye is looking at the color image from a color camera on a screen it is probably about 5-10% discrimination); and (3) it can detect, indirectly, nuclear size in cells, in the body (the theory, called Mie scattering, was completed in 1907). So basically, it allows you to look at the tissue and be able to see if there is cancer or a pre-cancerous condition in that tissue, and where.